Performing live at a venue near you?? Opportunities to hear my work live! and then next Tuesday, 11th June 7pm, my story The Queen’s Safety is being read at Liars’ League as part of their Kings & Queens theme night. 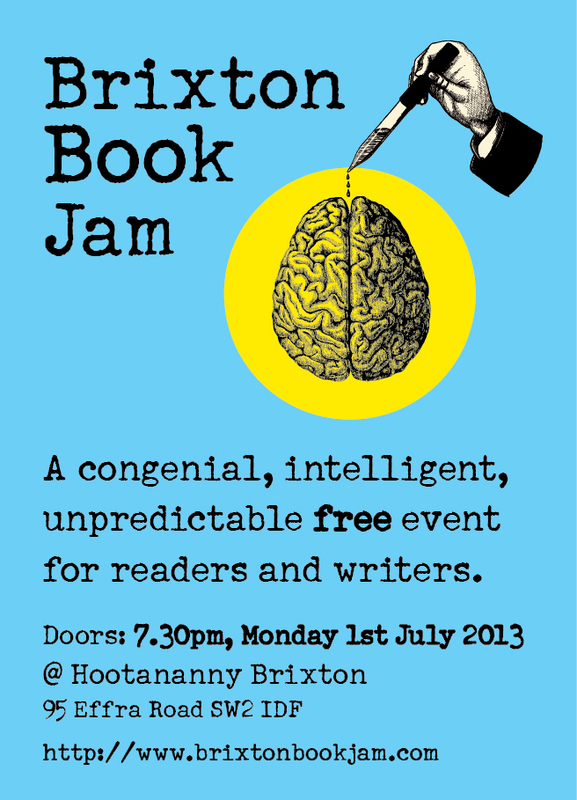 And then I’m reading at Brixton Book Jam This is now Monday 8th July due to a double booking at the venue (so ignore the date on the poster) some time after 7.30 not sure what yet, possibly Leaving. This entry was posted in live literature, readings and tagged Arachne Press, Brixton Book Jam, Cherry Potts, Liars' League, Misty Moon Gallery, Mosaic of Air, Weird Lies by Cherry Potts. Bookmark the permalink.